Over my 16 year career, I’ve been through two rounds of retrenchment, was close to another one and had to retrench people personally during the global financial crisis. I didn’t see the retrenchments coming in my early days but my stint as a business owner gave me a better sense for when the tides are changing. 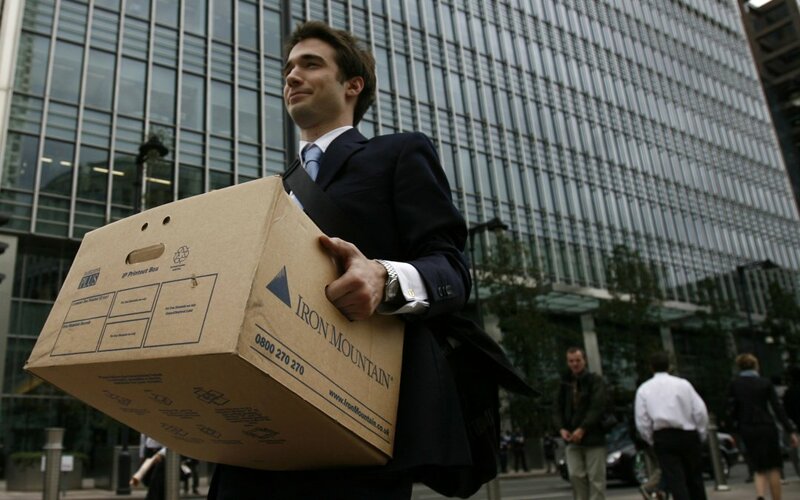 To get a better understanding of the signs that layoffs are coming, I asked my newsletter subscribers who’ve been through them and also collated the cases I heard of from my clients. If you notice a combination of these signs in your company, it may be time to start looking for a new job. You used to talk with his boss in the US over the phone on a very regular basis – as many times as three times a week. It started with lesser emails and calls from him. Your emails to him recently also went unanswered. The company was already on a major cost-cutting spree. Your boss eventually got the axe and given that you are his direct report, it was a matter of time before the axe falls on you. When the conference rooms are booked all day the whole week by your company’s HR department, it surely isn’t a sign of spot bonus issuance. And given the context, you probably won’t be able to catch even a grin on any of their faces. The rumour-mill within your organisation was already swirling furiously. To make matter worse, even people outside of the companies are speaking of the impending. As usual, the HR department continued to deny but be assured that the axe is coming soon. You are conveniently overlooked when meetings are scheduled. It often helps to have a good rapport with the secretarial staff especially the ones who sends out meeting invites. 5. You Are Getting Bypassed. This happens when your boss routinely reached out to staff under/below you overriding your authority. When your junior team member gets called to the boss’s office and you are left in dark, that’s something to be wary of. Out of the blue, you got yourself a new understudy. When you confront your boss the usual evasive answer would be – we are expanding the team/function and more load will come your way so need to split the responsibilities or that we believe in cross-functional training” etc. etc. Watch out !! You don’t get nominated for that relevant training programme that you have been wanting to and approved to attend. No company would want to invest their money in training a employee who is on his way out. So if you get excluded out from a scheduled training programme, it’s an early warning sign. Function Heads are asked to perform and submit extraordinary employees appraisal in addition to the one conducted annually, with particular attention drawn to highlighting ‘inefficient/ unproductive’ individuals. This is primarily writing up the firing list. Recruitment for all positions is put on freeze indefinitely and new vacancies are not filled promptly. Another potential time bomb, this starts when senior people are assigned to special projects after core responsibilities are transferred to others. This is the typical Japanese way of moving people out without firing them – you only need to drive them crazy. The majority of employees under a manager being assigned to other areas/managers, often on the pretext of “streamlining”. They are either the company’s future owners or the bankers. Either isn’t going to have a good ending. They have since laid off 1,100 people and closed operations in several countries. As much as growth is good, doing it too fast too furious often lead to a disastrous consequence. Unless your firm is the buyer, all other parties will be on the receiving end. After Microsoft acquisition of Nokia, it didn’t take long before 7,800 employees got laid off. A better term for an internal management consultant, they are often brought in to turn the business around as the old tricks just aren’t working anymore. Senior managers usually get to know what is going on. And they also have their career to consider. If many of them start heading for the exits, you might also want to start making prep. Often come about when there are just nothing left to be cut, you can expect fewer parties and happy hours. The sponsorship for birthday cake will go and no more beer in the fridge. 19. Company bills aren’t getting paid. When your vendor refuses to deliver the goods because your firm has owed them money since last September. There are probably more than 19 early warning signs of retrenchment. You probably won’t be able to spot many of them. Just be sure to keep your skills current and ears to the ground. So you know what to do when you hear the loud thunder, and not wait around for the pouring rain and realised you don’t have an umbrella.